Lanterns at the Kamotsuba Shrine. 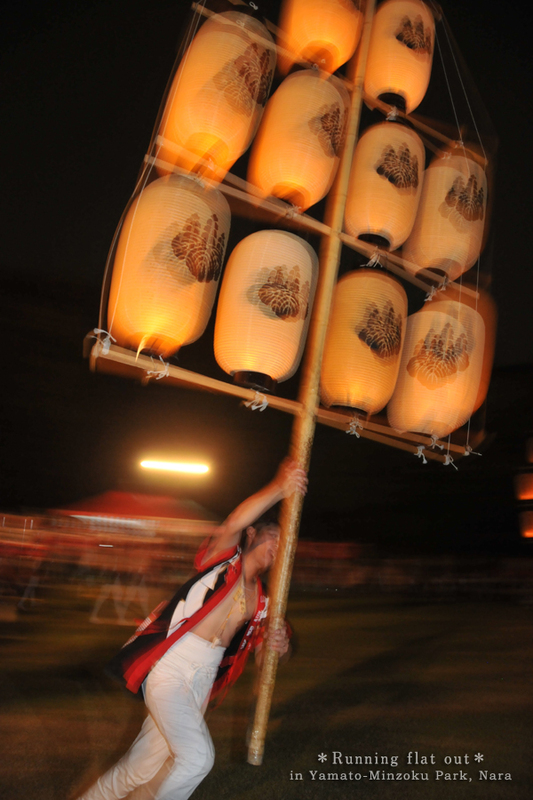 Young men of Kamonomiya performed these lantern performance. Taken at Yamato Minzoku Park.